George W. Millward - The Kafafian Group, Inc.
George has been with The Kafafian Group since 2010 and serves as a Managing Director. He leads our Governance and Management Advisory Services, and our Process Change practice. Over his career, he has advised community banks ranging in asset size from $150 million to $10 billion on a wide variety of engagements addressing board governance, strategic management, business process change, financial management and merger integration. 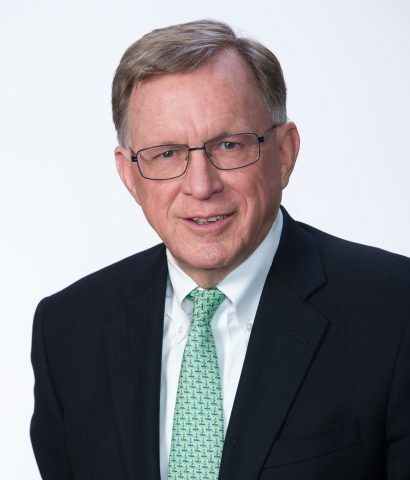 As part of his consulting career, George has served as interim CEO for three community banks and as interim COO for a troubled equipment finance subsidiary of a $3 billion bank holding company. He is a specialist in crisis management at the board and management level, and has assisted banks in working through difficult board and management situations. George’s previous positions include: President of Millward Consulting, LLC. ; Managing Director – Finance and Administration, and Corporate Secretary at Millennium Bank (a De Novo bank which he helped form in 1998, and now part of M&T Bank through its acquisition of Harleysville National Bank); Mid-Atlantic Director of Community Bank Consulting at KPMG; Executive Vice President at Meridian Bancorp (now a part of Wells Fargo); and Staff Consultant through Director at Coopers & Lybrand Consulting (Boston and Minneapolis) (now a part of PWC). He also has experience working in the not-for-profit sector, and in the State of Iowa’s Governor’s Office. Mr. Millward holds an M.B.A. in Finance, a Masters in Urban and Regional Planning, and a Bachelor of Science degree, all from the University of Iowa. George has served as an independent director of an investment advisory company, and has served as the president of professional and community organizations. He has presented to numerous state banking conventions on the role of boards of directors of community banks, and has taught undergraduate courses in financial management at the University of Iowa, and a course in managing information technology for Moravian College’s M.B.A. program. Read what George has written or where he's been mentioned. Hear podcasts where George has offered his insight.